Tax Tip Tuesday – Q&A With The Funny Accountant! #1 – What do you charge? Answer – Depends. 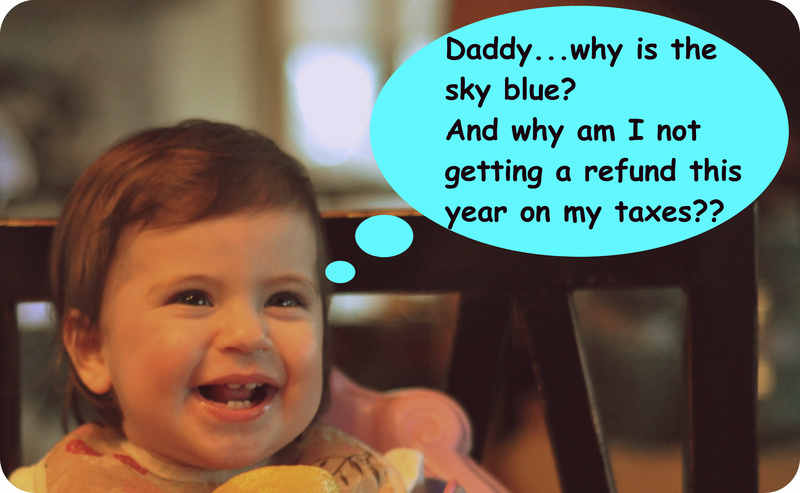 The basic tax return (between 2 and 5 T-slips) is $120. This includes follow-ups during the summer if our ohhh-so-bored-in-July Government asks to see your medical receipts or donation slips. If you’re married, $220 for both of you! If your taxes are more complex, call or e-mail or facebook-message (FESSAGE!) me…we can chat about the details. Answer – Obviously because you didn’t bring me cookies or brownies when you came to pick up your completed taxes. That, and whoever does your employer’s payroll did their maths properly during the year! Assuming you work as an employee, every 2 weeks your paycheque is deducted-at-source (your employer holds back the taxes you owe). If you don’t take other tax actions (Taxctions™) during the year (i.e. contribute to an RRSP, make donations, etc.) then this system is designed in such a way that your tax balance owing will be zero at the end of the year. Genius! Moral of the story – Register your RRSP as a charity and donate generously! Answer – Yes, Rosie you can have more banana. Why should I hire you as my accountant? How will you save me money? How should I be organizing my papers so that my tax return might cost less? How, oh HOWWW are you so handsome Mr. Funny Accountant? In summary, there are no dumb questions. Except when your question is really, really, really dumb in which case mockery is justified. Have a nice week everyone! Happy birthday to me on Friday!!! For more information on this and other tax issues, please contact The Funny Accountant/President of MK & Associates at mitch@mkassociates.ca. And, once again, please share your ideas, thoughts, questions and compliments on past and future blog posts! Magnificent goods from you, man. I have be mindful your stuff prior to and you are just too wonderful. Next Post Tax Tip Tuesday – How to Spend Less on Your Taxes!